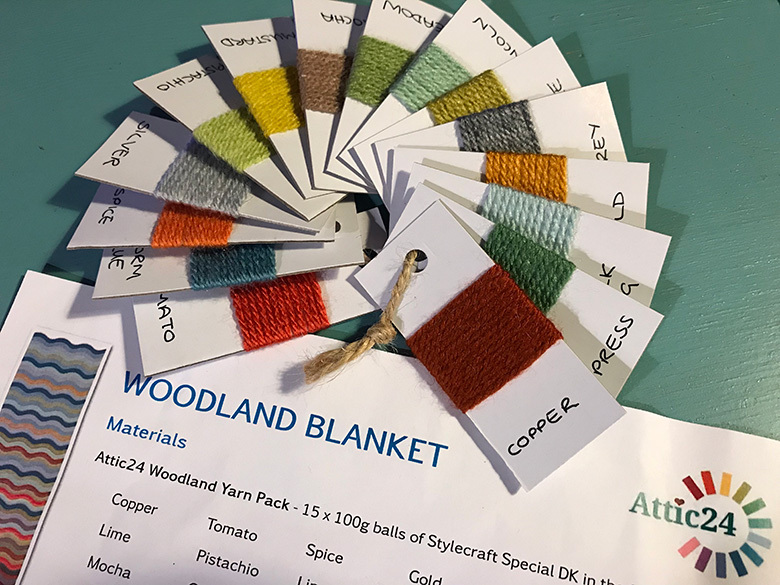 Being a newbie to the ‘Crochet-A-Long’ (CAL), I found the Woodland Blanket CAL on the Attic24 blog and thought it would be a good project to try. The wool was a Christmas present from my mum and when it arrived it sat under the Christmas tree…waiting…then on Christmas day I could finally open it. Yippee!! What yummy colours!! The pattern was due to be released on a weekly basis, starting in January, via the Attic24 blog. So, with a week or two to go I had some free time on my hands. Firstly I decided rewind the balls of yarn into cakes. 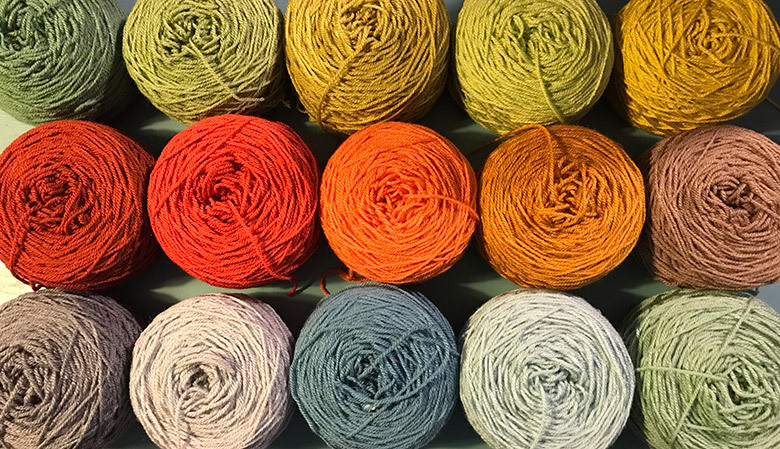 Its just a personal preference but it gives you the opportunity to check the wool for any problems before you start; and it makes it easier to pull the yarn from the centre, so the ball doesn’t bounce around. Secondly, I made my colour tags, so that I could easily identify my colours as I’d removed the ball bands. Then in January the first week of the pattern was released. I made my tension piece and began my foundation chain. Both steps took a few attempts to get right. The pattern was a variation on a ripple stitch and I was surprised how easy it was to do the pattern wrong and it wouldn’t be apparent until 2-3 rows along! I learned a new word during this project, ‘frogging’. Basically its a word for undoing your work, i.e. ‘rip it, rip it’. I lost count how many rows I had to undo. Still, I persevered and placed markers along the row and counted, counted, counted! 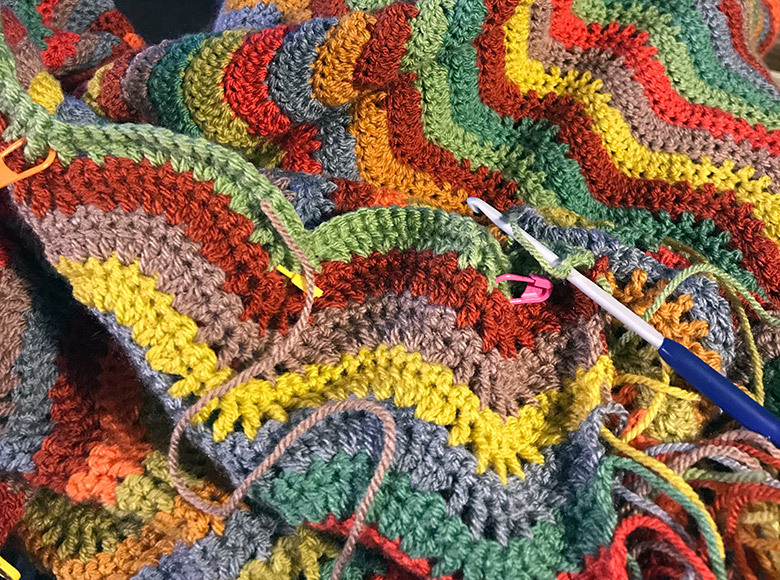 By the time I was half-way through the blanket I finally got into the rhythm of the pattern and began to enjoy it more. 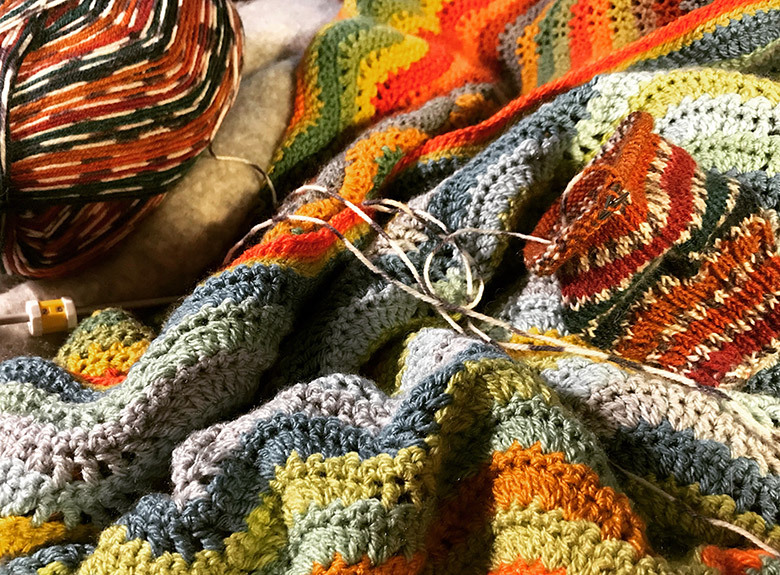 The number of pattern rows released each week was more than I could comfortably keep up with but thanks to a ‘spare’ week at the end I managed to get myself back on track. 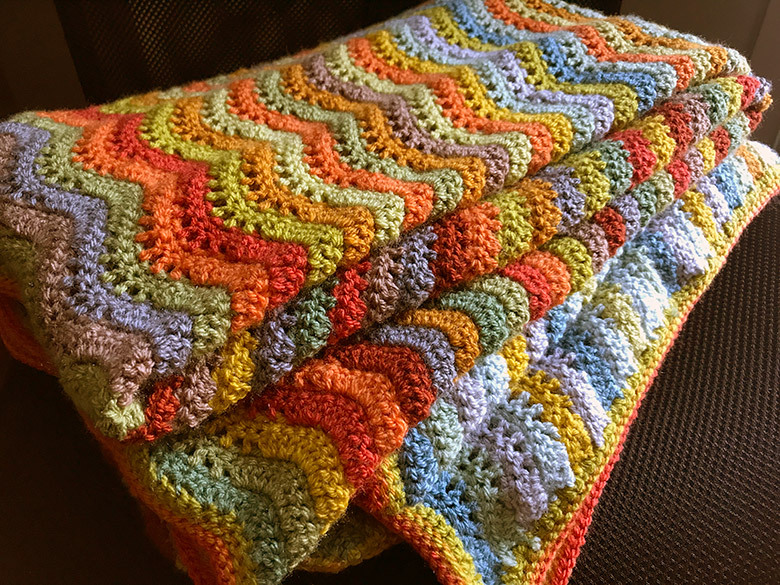 This is my finished blanket! Its so soft and warm – I absolutely love it! 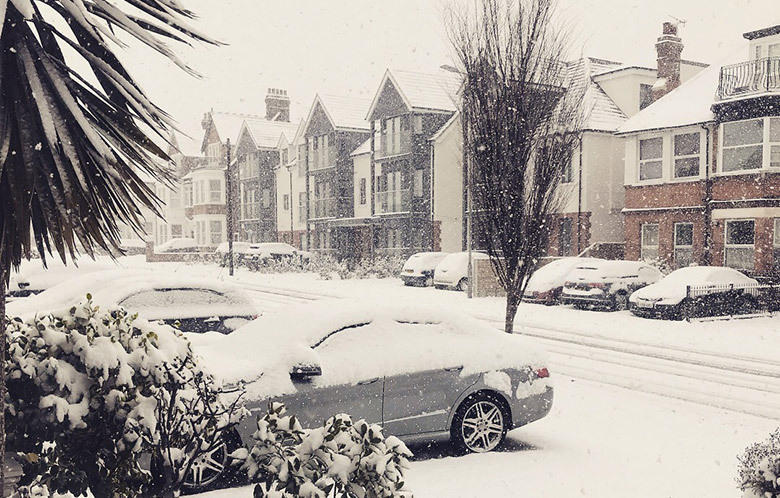 I live in the UK and it couldn’t have been finished at a better time…literally just in time for the ‘Beast from the East’. Freezing temperatures has meant this blanket has been put to good use already. I’ve now started knitting some more socks. I just love winter accessories!